Remember back when the craziest ice cream flavor was vanilla and chocolate swirl? Yeah. That feels like a million years ago. Even soft serve is artisanal now. 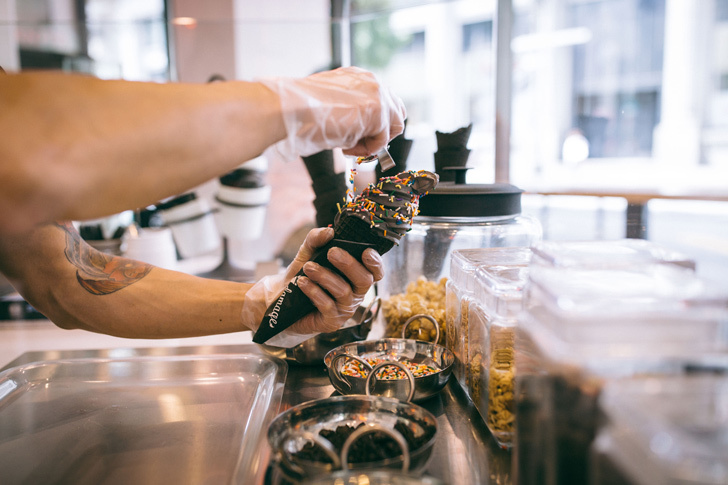 So it comes as no surprise that Little Damage, DTLA’s newest artisanal soft serve shop, has flavors like mango sticky rice, beet, and even one called unicorn tears. Those tasty flavors are brightly colored and beg for fun toppings like fruity pebbles and caramel popcorn. But it’s not all rainbow sprinkles over there. As if from the movie The Craft, it offers up soft serve gone goth. 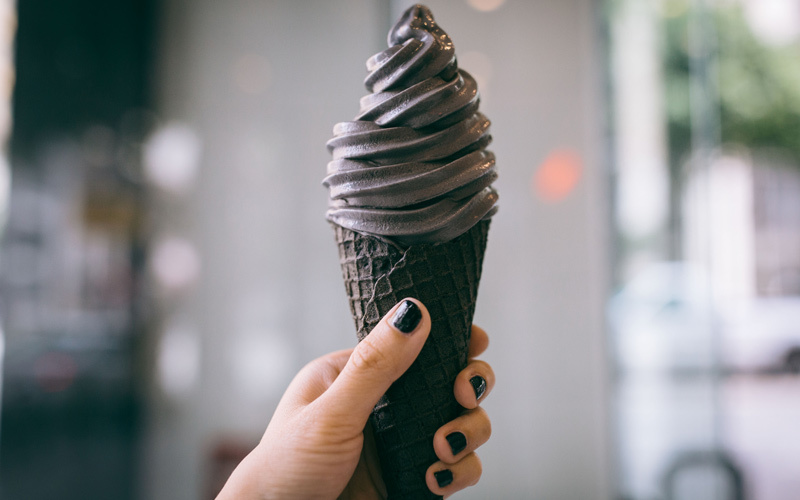 This witchy-looking ice cream is actually almond charcoal flavor. It contains activated charcoal, which, besides its health benefits, gives it that noir color. The sweet almond flavor is only enhanced by the (also black) chocolate charcoal cones, in which Little Damage serves all of its flavors. The black on black color combination is totally punk rock. For ice cream. 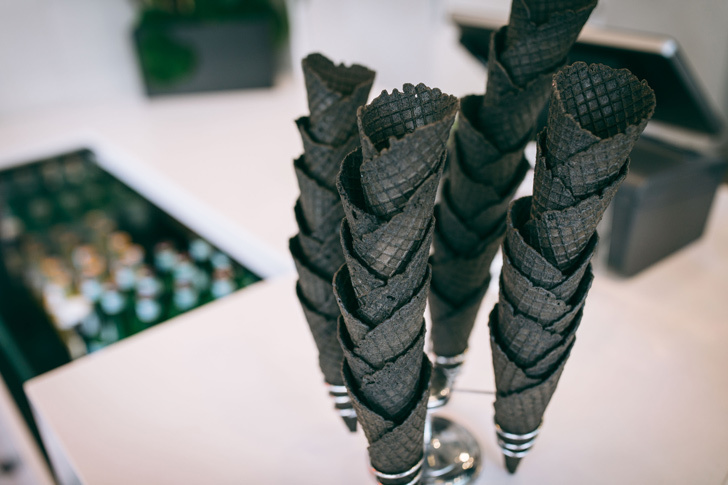 The almond charcoal is just one of the signature flavors, along with its beet flavor called “Just Beet It.” All the ice cream is made fresh daily in small batches with local organic ingredients, so the menu changes with some rotating seasonal flavors. 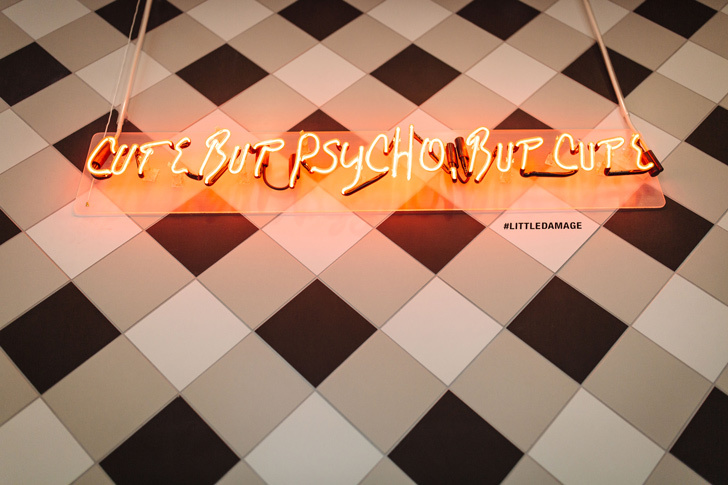 Since Little Damage’s opening in February, the corner of Spring and 7th has become the intersection of goth and unicorns – a place where it’s OK to put rainbow sprinkles on your deathrock ice cream.